Infographic: Why Invest in Sports Character Programs? Let’s change the World one community at a time. Pass success to the next generation! Life is a sport, and we’re just getting warmed up! John Westly Stewart (CEO and Founder of the C.A.R.E. Foundation) during basketball warm ups for The Sports Character Program. Youth Are Gearing Up For a Professional Online Presence! At the C.A.R.E. Foundation we take our Career Workshops (Youth Career Conference 2015) seriously and work on what the need is. No question, having a strong and positive online presence is great for anyone ready to get our in the work world. Here’s what we found regarding one to the best social media platforms for professionals on their career path. Let’s talk about LinkedIn. LinkedIn is not just good for business, but branding, too. Your LinkedIn profile is one of the most effective ways to position yourself in business or as a professional ready to take on the world! With any online profile, it must be clear, relevant and up to date with what’s happening in your career for professional life. I know, where do we start, right? Just consider three elements to pull from — Social Networking, Relevant Sharing and a Polished Consistency — now you can create that awesome online profile! Use your existing online network to expand your social-media followers. The first thing to do is to let people that already love you know you’re here! Message or call family, friends, or co-workers and ask them to connect with you and you’ll follow them back. Your closest network already genuinely want you to succeed, so they’ll be your most passionate crowd. Engage them online and you can start building a firm foundation to connect with new people. Content sharing, that is! Most LinkedIn users want to further their careers and professional brand image, too! Turn your LinkedIn profile into a resource for your network. Give away engaging, and interesting content they can utilize. e.g. career tips, or business insights relevant to them. People connect with people. When possible have professional photos done for your profile. You’ll be surprised and the new interest level taken when you present yourself and all your postings in a polished way. Be sure to have a steady flow of informative posts so people would have a reason to keep coming back to your profile. Being viewed as a resource that has value is an achievement, too! At our Career Workshop we brought in a professional photographer and had all the young professionals and entrepreneurs head-shots taken. It all came out quite nice-don’t you think? The six local adolescents from Baton Rouge, LA founded AnyLoom with a goal to build a gymnasium for underserved youth. This ambitious group took the image of a typical entrepreneur and turned it on its ear with the single idea of selling looms. At Anyloom, a team weaves miniature colored rubber bands on a hand-operated device to create custom bracelets, lanyards and key chains. “I thought of the idea [to make looms] standing in my kitchen,” said 13-year-old Kiara Brumfeild. Kiara is the company’s director of finance. She and her team presented their business idea to their long-time mentor, John Westly Stewart, knowing he would an interest in their newly founded business endeavor. “When I was coming up we had resources like the YMCA that came into the community,” recalls John Westly Stewart, CEO and Founder of The C.A.R.E. Foundation. The C.A.R.E. Foundation, whose acronym stands for: Career, Academics, Recreation and Exposure has been a resource for youth, parents and educators. Mr. Stewart has always had the passion for academic learning, sports and recreation, and entrepreneurship. It was Mr. Stewart’s early childhood experiences led him to establish C.A.R.E., a non-profit organization that provides career development services to young adults. Stewart runs the foundation with longtime friend and Co-Founder, Daniel Smith. Under the foundation’s guidance, AnyLoom is learning business expertise and life skills. Brianna Alexander, 12, is the manager of materials and says that in her role she quickly learned that good attitudes equal good sales. The teams’ positive attitudes have translated into impressive earnings at their first major sales event, a vendor’s fair in Tyler, Texas. Over the next few years AnyLooms’ goals are to polish their business plan and expand their product line. 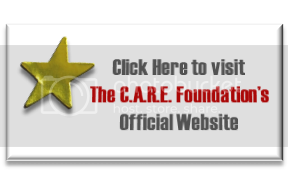 Read more about how C.A.R.E. supports and youth entrepreneurship. We support ‪#‎MVPbarbersGonzales‬ at MVP Barbers in Baton Rouge, LA. The C.A.R.E. Foundation is looking forward to sharing their stories of success! We love supporting young entrepreneurs on their success path. We all had such a great time at the MVP Barbers Grand Opening we just had to post another picture. See you soon and have a successful day! Special thanks to delmar_dabarber at MPV Barbers for representing with your C.A.R.E. T-Shirt on instagram. Very professional, Sir! Show you support for Baton Rouge youth entrepreneurship and academic success with your next T-Shirt purchase today!